Maddie Elia scored twice and Dani Cameranesi had a 3-point game with a goal and two assists for the Buffalo Beauts in a key, 4-1 victory over the Boston Pride Saturday at HarborCenter. 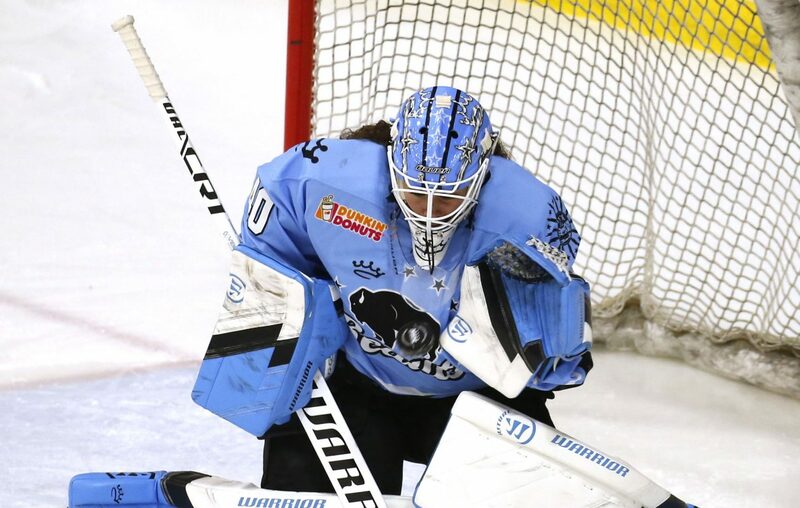 The victory was important because it left the Beauts and the Pride tied for second place in the National Women's Hockey League with 8-4 records. However, it also allowed Buffalo to capture the season series from the teams by a 3-1 margin. If they finish the league season tied — each has four games left — Buffalo would have the tiebreaker advantage, head-to-head results. Annika Zalewski scored only her second goal of the season, but it got the Beauts started on their way to victory at 9:44 of the opening period. Zalewski took a pass out from behind the net by Taylor Accursi and shot between the pads of Boston goalie Katie Burt. Elia scored with her own rebound at 4:11 of the second after Cameranesi carried the puck in on the Boston goal. Cameranesi scored her goal later in the second (5:45) when she went in on a 2-1 on break with Kelly Babstock and scored unassisted, beating Burt with a hard shot. Elia scored her league-leading 11th of the season with 53.6 seconds left in the game on a pass out from behind the net by Hayley Scamurra. Elia (11-7-18) and Scamurra (9-9-18) share the NWHL individual scoring lead. Buffalo goalie Shannon Szabados stopped 20 of the 21 shots she faced. Burt had 43 saves. Buffalo won its third straight over Boston after dropping the opener of the season series between the clubs. It was the Beauts' fourth straight win and fifth in the last six games. Of the Beauts' four remaining regular-season games, three are against the fourth-place Metropolitan Riveters (3-9-0), including Buffalo's final home game of the regular season on Feb. 23. the other game is at the Connecticut Whale (2-8-2) in Stamford, Conn., on March 3. Buffalo's next game is at Metro next Saturday in Newark, N.J.